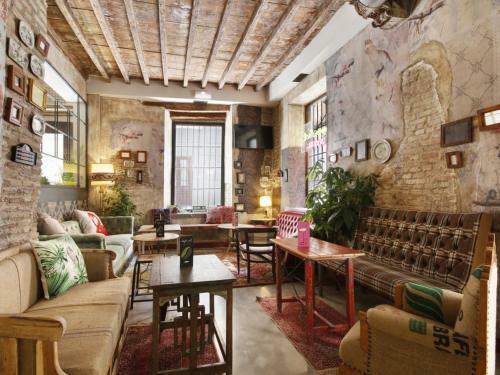 LemonRock Hostel offers accommodation in the centre of Granada, 500 metres from Granada Cathedral. The hostel offers a bar, as well as free WiFi throughout. Each room comes with lockers, reading lamps and individual plugs. This hotel is 1774 metres from the Alhambra entrance, 682 metres from Plaza Nueva (the absolute centre of Granada), 1057 metres from the train station and 2673 metres from the bus station.